Honda has given its 125 cc scooter, the Grazia, a visual upgrade by tweaking the styling cues on its range-topping DX variant. For 2019, the disc brake equipped DX version of the Honda Grazia gets new “DX” decals on the front apron. Moreover, Honda has also extended the colour palette for the Grazia with the introduction of the Pearl Siren Blue paint option. Along with the updates comes a marginal price hike, pushing the ex-showroom Delhi tag to INR 64,668. The 2019 Honda Grazia DX version gets new decals and an added colour option - Pearl Siren Blue (pictured) pushing the prices marginally higher. The drum and the drum alloy variants do not benefit from the change, and thus, the prices for the model remain unaffected at INR 60,296 and INR 62,227 respectively. 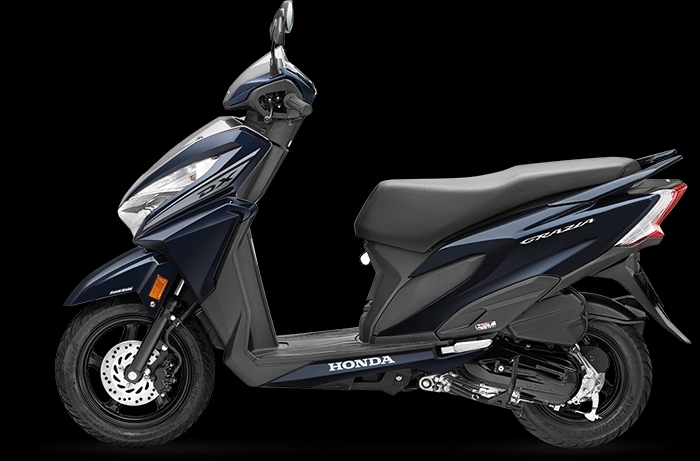 Apart from the visual upgrade, the Honda Grazia features the same mechanical specifications and components. Propelling tasks are performed by 124.9 cc, single-cylinder, fan-cooled, carburetted engine that delivers 8.52 bhp at 6,500 rpm and 10.54 Nm at 5,000 rpm. The safety net of CBS is standard across all variants while the braking department comprises 130 mm drum units on both wheels. The range-topping version comes with a 190 mm disc brake on the front wheel while the rear gets a 130 mm drum unit. The 12-inch front and 10-inch rear wheels are wrapped in tubeless tyres. Shock absorption tasks are performed by telescopic forks at the front and 3-step adjustable rear suspension. The feature list includes full LED headlight with LED position lamps, 4-in-1 lock with seat opening switch, front glove box with optional USB charger, sporty split pillion grab rail, 18-litre under seat storage, and a fully digital instrument console with Eco Speed Indicator. Changes are limited to new decals and colour option while specifications remain unaltered. The BS-VI compliant Honda Grazia would arrive in 2020 with fuel injection. 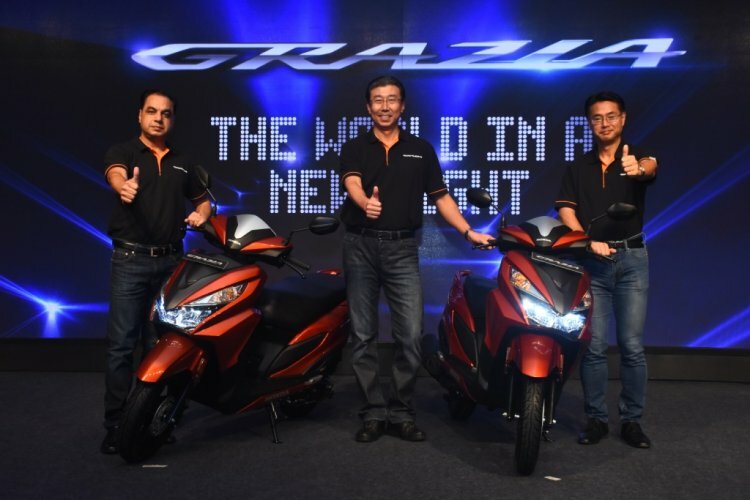 The Honda Grazia competes against the likes of Suzuki Burgman Street, TVS Ntoq, and Aprilia SR125 while the competition would be extended with the launch of Hero MotoCorp Maestro 125.